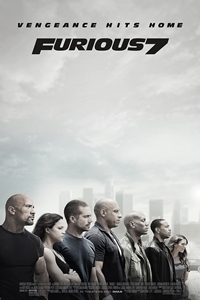 It's Friday and that means its time to decide what movies you'll see this weekend! 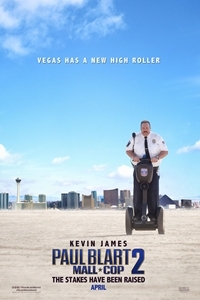 In this sequel, in which Kevin James reprises the role of Paul Blart, the security guard is headed to Las Vegas to attend a Security Guard Expo with his teenage daughter Maya (Raini Rodriguez) before she departs for college. While at the convention, he inadvertently discovers a heist—and it’s up to Blart to apprehend the criminals. Ever seen a viral video? Find out the aftermath of one of those viral videos when a young lady takes her life after an embarassing video is seen by everyone. What happens next is someone or something seeking revenge on the only people that had acess to that video and who could have shared it. Catch both Unfriended and Mall Cop 2 in a theater near you. Unfriended is on a limited theater release so make sure to check your local theaters listings. Also, we wanted to once again thank TJ, Stacey and the entire staff at Warrenton 8 Cinema for everything they do for LivingTheNerdLife.com. Without them we wouldn't be bringing you different movie reviews! Thanks!